K.J. Wright has played in just three games this season with a knee injury. And yet, the Seahawks are 7-5. Austin Calitro is one of the reasons. 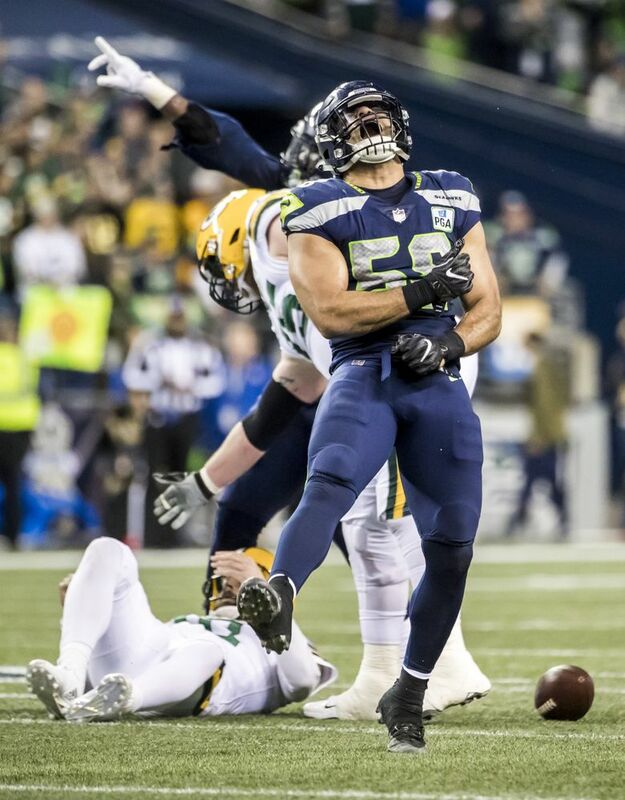 That’s the same Austin Calitro who went undrafted out of Villanova in 2017; who didn’t play a down his rookie season and was released by three different teams … including the Seahawks; who served as Bobby Wagner’s back up at middle linebacker during training camp. Improbably, that guy transitioned to weakside linebacker and has made 36 tackles in 12 games. In the Seahawks’ 43-16 win over the 49ers on Sunday, he piled up 10 tackles and two tackles for loss. Wagner may be the star, but on Sunday, Calitro was more than serviceable. Speaking of Wagner, the Seahawks’ seventh-year standout has certainly helped further Calitro’s development. While Wright continues to sit, more help is on the way. Veteran linebacker Mychal Kendricks — who produced 15 tackles and two sacks in just two games this season — is eligible to return from suspension this week and will likely start at weakside linebacker against the Vikings on Monday night. But if his team needs him again, Calitro will be ready. “He’s been great,” Wagner said of Calitro. “Every time he’s had his number called he’s come and made plays. I feel really confident when he’s out there. We have a great relationship and I think the communication is really good.